Owing to the cat going AWOL I spent extra night at Bardney Lock. Did it blow!! Just as well I took the wind genny down. Nearing Lincoln one can see Cherry Willingham away to the north. 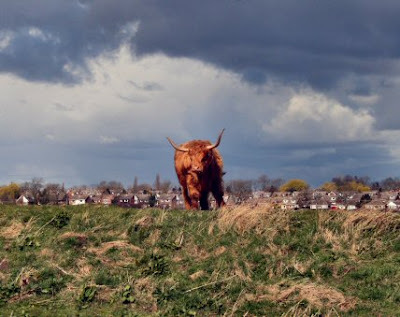 There is a footpath along the bank and if you see a sign that says Beware of the Bull I suggest you do as recommended. As you can see this beast with huge horns popped up and had a good look at me. I wouldn’t argue with it. I had a stop in Lincoln as I do like to take advantage of not worrying about parking charges. And a quick visit to W H Smith and Wilkinsons and back onboard. The Glory Hole is ahead and there seems to be a satisfaction in going through it. 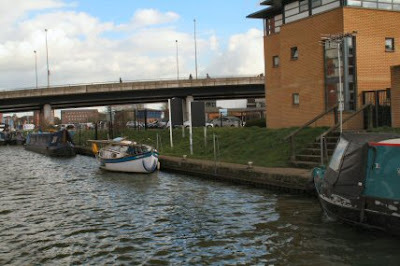 Just the other side of the hole is Brayford Pool. 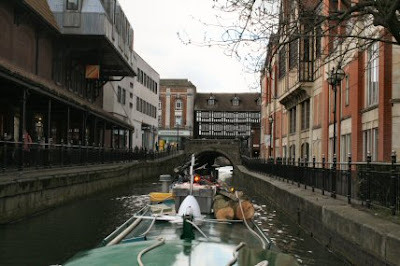 In the far right corner is the entry into the pool by the River Withern while in the far left corner is the access to the Glory HoleThe photo is from near the Uni moorings . This time however if I had wanted to stop there my luck was out. One small boat moored right in the middle making it impossible for anyone over 30 feet to get in. There was something like 30 foot either side of it. A bit of thought for others wouldn’t go amiss. 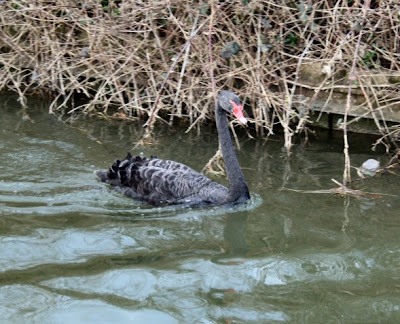 Approaching Saxilby I spotted the Black Swan. I would think that there can’t be many on the Fossdyke and if this is so then this one must be getting on a bit for I am sure that I saw it years ago. That swan usually resides in Burton Waters. 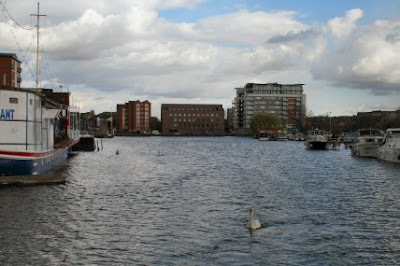 It has been spotted nesting with a white swan in the reeds in the far corner of the marina. Im pretty sure there is only one of them and it seems quite friendly as it takes food from your hand without biting. Nice to see you are having fun.